Sept. 14 (NBD) -- Volvo Cars, which has an enduring reputation for being safe, is now facing safety concerns. The carmaker stepped into the spotlight following a report last Friday by CCTV-2, an economic program run by China Central Television (CCTV), over transmission problems. According to the report, an imported Volvo XC60 suddenly lost power while driving on the overpass in Shanghai in April 2016, and inspection results show the stall was caused by a fault with the car's transmission. The involved gearbox is a Powershift 6-speed wet dual-clutch transmission (DCT), which is co-developed by Ford and Getrag, one of the world's largest transmission system suppliers, a person-in-charge with Volvo told NBD. The twin-clutch gearbox is mainly adopted in Volvo XC60 models manufactured in 2015 and before, and those manufactured after 2015 shift to an eight-speed automated/manual transmission, the person added. NBD noticed that there are up to 346 complaints about Volvo cars at a car complaint platform, many of which are related to the XC60's DCT. And apart from the XC60, other models of Volvo, like the S40, S60, S80, and C30, also use the Powershift 6-speed gearbox. Owners of these models also reported similar problems. The day after the CCTV-2 report, Volvo Car Distribution (Shanghai) Co., Ltd. delivered an explanatory statement, claiming that the company already announced solutions in December 2017 to solve the issues. The solutions, however, failed to quell the matter. Some car owners said Volvo promised to extend the warranty for vehicles equipped with MPS6 DCT to seven years or 160,000 kilometers, but many affected vehicles have been and will be soon outside the warranty period. This means the gearbox repair cost of up to 70,000 yuan (10,240 U.S. dollars) would be at their own expense, which is unacceptable to them. More importantly, a few owners told Legal Evening News that after the repair, they can still receive the "Transmission Performance Low" warning on the dashboard, but 4S stores insisted there is nothing wrong with their cars. Not satisfied with Volvo's indifferent attitude, affected car owners have set up teams spontaneously to safeguard their legal rights. At recent auto shows including the one in Chongqing and Chengdu, some were seen demanding the carmaker recalling vehicles equipped with the faulty transmission. 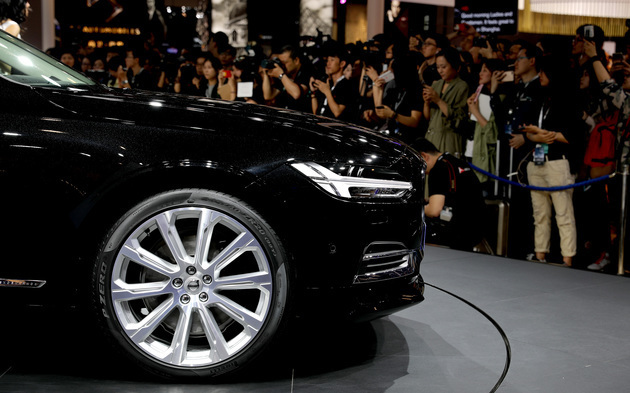 Che Yanhua, vice president for marketing of Volvo Cars at Greater China, said the recall of cars should be carried out in accordance with related laws and regulations. According to China's newly revised Law on the Protection of the Rights and Interests of Consumers, car owners could explain the situation and submit a request to the Defective Products Administration Center of General Administration of Quality Supervision, Inspection and Quarantine of China. If the appeal was supported by investigation results, the authority could order the carmaker to conduct a recall and bear the necessary costs that car owners spent to facilitate the recall. If the company refused to do so, it would face administrative penalties plus civil liabilities.